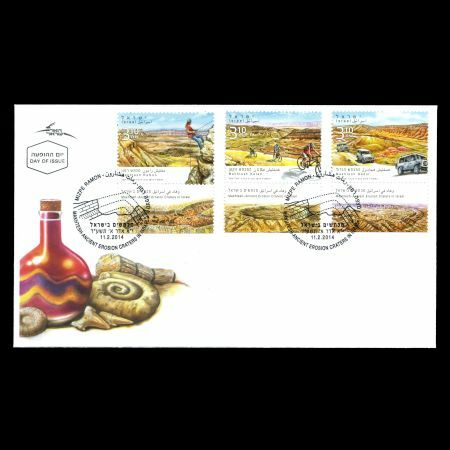 Israel 2014 "Makhtesh Ancient Erosion in Israel"
On February 11, 2014 Post authority of Israel issued a set of 3 stamps "Makhtesh – Ancient Erosion Craters in Israel". The dynamic earth has formed almost unique geological landforms in the Negev desert. Initially, a layered sequence of hard limestone and dolomite rocks was deposited over softer sandstone sediments. 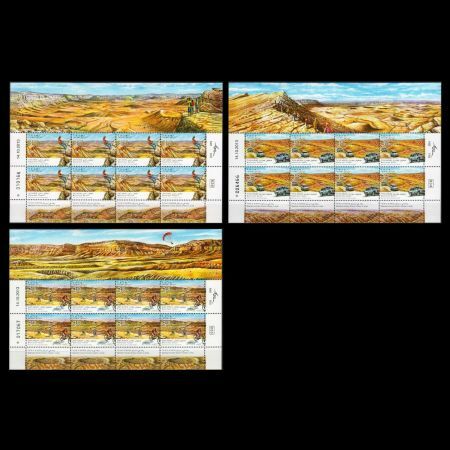 The sequence was folded into asymmetric folds, producing four parallel, northeast - southwest, topographical ridges. An erosion surface removed the hard limestone and dolomite rocks of the fold’s crest, exposing the underlying friable sandstone, which was eroded, forming a deep transverse valley. The creeks drain into the Dead Sea - Arava valley, through a single outlet, incised into the southeastern flank. The closed valleys are surrounded by steep cliffs, 200–400 m high. 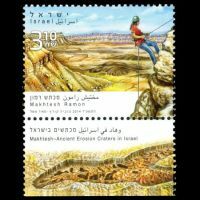 A This type of breached valley or erosion crater of this sort is known as a “makhtesh”. A makhtesh is a “geological window”, through which the ancient strata are revealed. A makhtesh contains a variety of different colored rocks, and diverse fauna and flora. 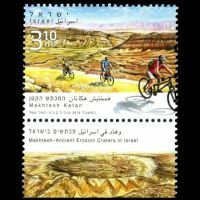 The area of each makhtesh has been declared a nature reserve, providing an ideal location for recreation and leisure with trails for hiking, cycling and jeep tours. 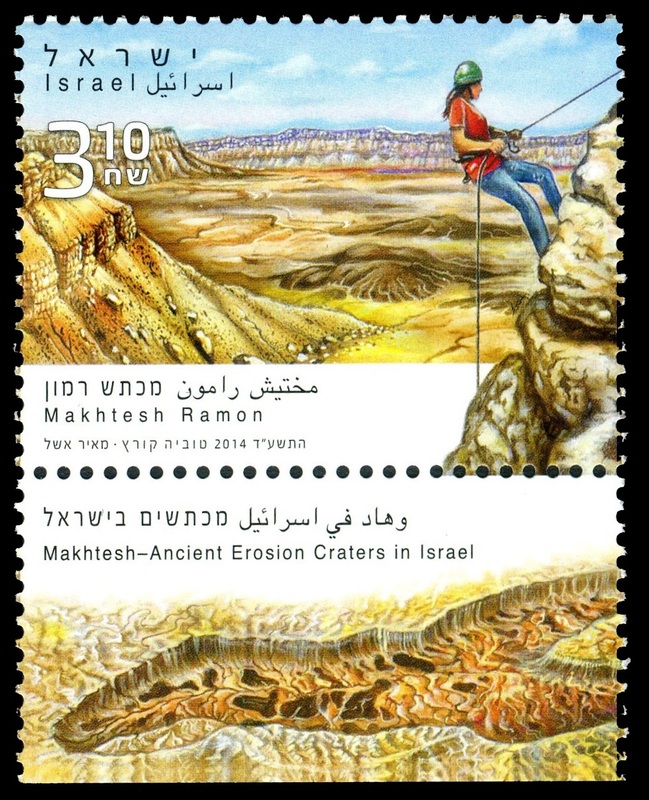 Makhtesh Ramon, located near Mitzpe Ramon, is the largest crater, up to 40 km long, 9 km wide, and 500 m deep. It has been designated as a national geological park. 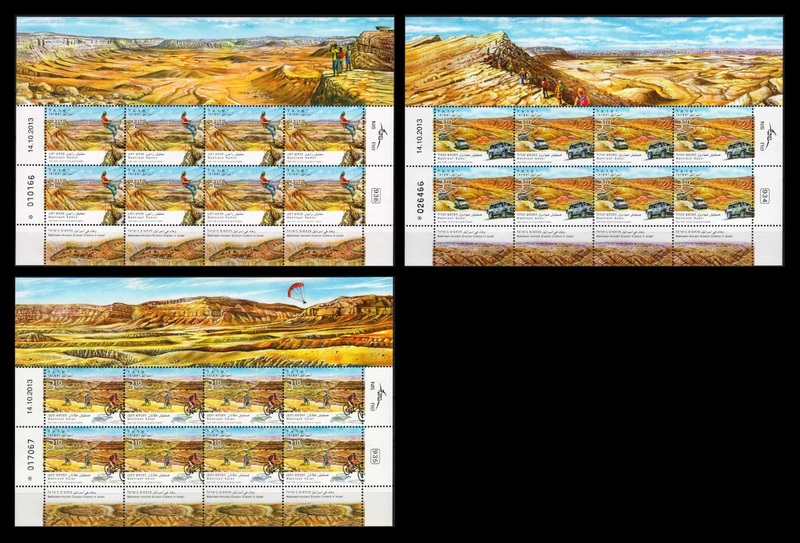 The sandstone, multi-coloured clays and gypsum rocks were mined in the early days of the State of Israel, forming the basis of the ceramics industry in Israel. To add to the diversity of the geology, dark basalt volcanic rocks are exposed and eroded into hexagonal columns. The sedimentary rocks have been intruded by rare magmatic rocks with an unusual suite of metallic minerals. back as much as 220 million years. 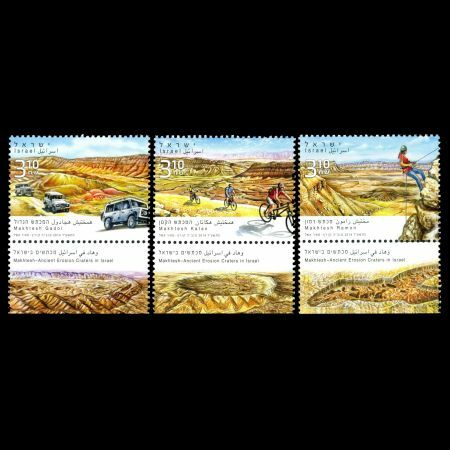 The Ramon crater began forming when the ocean that covered the desert began to move north. Water and other climatic forces slowly began to flatten the curve on top. 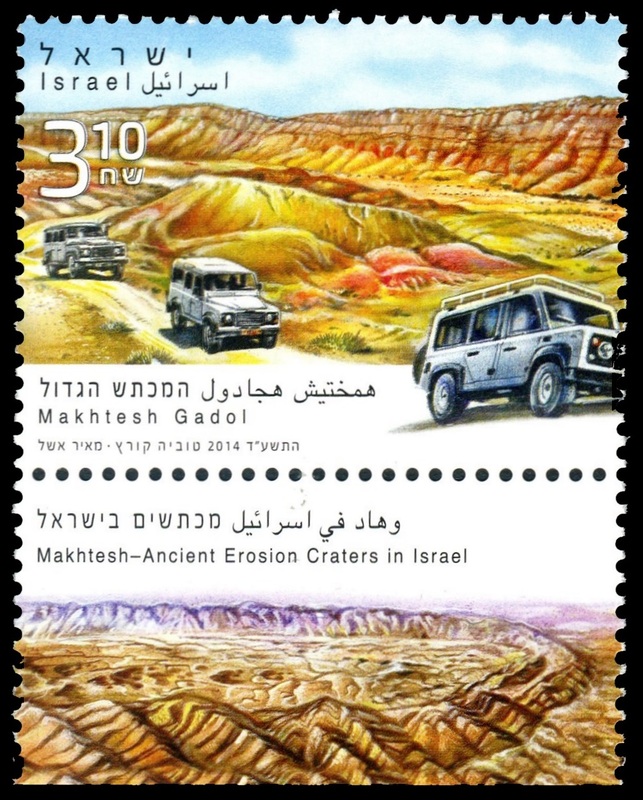 Much later, the Arava rift valley was formed and the rivers began to change their flow. As this occurred, it carved out the crater. The crater is about 1,650 feet (500 m.) deep. Some rocks at the bottom of the crater can be dated back 220 million years. A black hill in the north, Giv'at Ga'ash, was once an active volcano. Also, vertical dikes of magnum which squeezed upward through fissures can be seen at various spots through the makhtesh. The lowest spot in the crater, Ein Saharonim, contains its only natural water source. From the visitorâ€™s center, it is possible to get a spectacular panoramic view of the crater. Makhtesh Gadol (the large crater), located near Yerucham, is the second largest crater, 5 km by 10 km, and is drained by Nahal Hatira. The erosion has exposed a fossil forest. The varied and colourful sand provide an opportunity to develop artist skills by filling bottles with different sands. The white quartz sands are quarried for the glass industry. 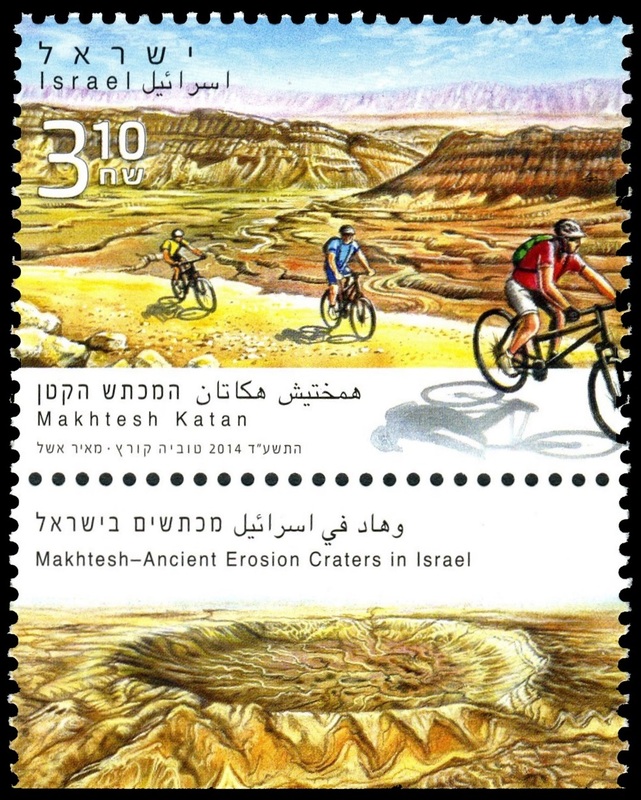 Makhtesh Katan (the small crater), located near Dimona, is the most perfect of the Negev craters and is 5 km by 7 km. 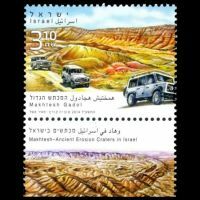 It is surrounded by steep limestone cliffs, and drained by Nahal Hatzera. To the east are rehabilitated rich phosphate rock quarries.